Well the biggest update for our garden is that we got bees!!!!! This is not one of our bees pictured above, however. It will be a while before we have honey, but seeing them buzz around the garden is pretty exciting. I love that the bee/gardener relationship is mutually beneficial. 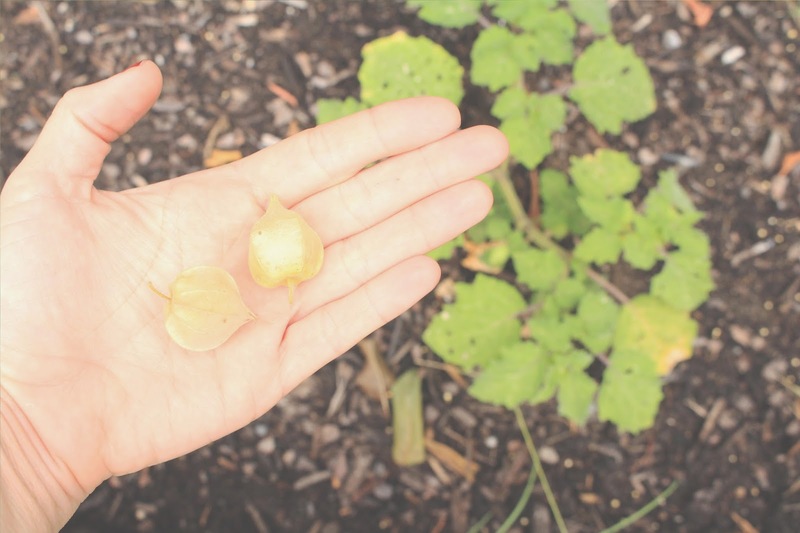 These are pineapple ground cherries. They are the consistency of a cherry tomato but they are sweet and have a hint of pineapple flavor. Our ground cherry plants haven't done as well as we had hoped. We have read that they grow like a weed but ours have been in trouble since they were seedling. Some bug seems to be eating the leaves. Sheesh. 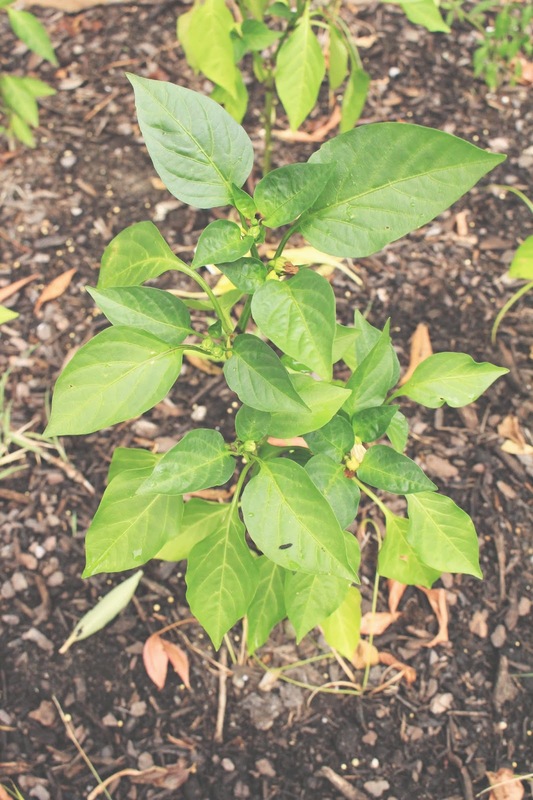 These are bell pepper plants. They haven't been growing really but seem to be doing better as of late, so we'll see what happens with them. Pickling cucumbers! 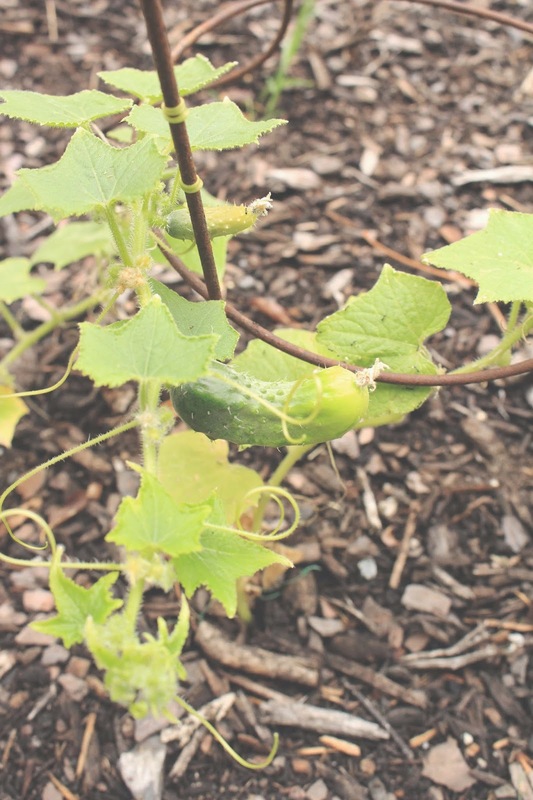 We have about 3 cucumbers starting to show on the plants. We started these as seedlings but they did not do so well (nor did any of our seedlings for that matter), so the ones you see here came from seeds planted straight in the ground. Oh our poor squash plants. Sigh. They are not looking too good. 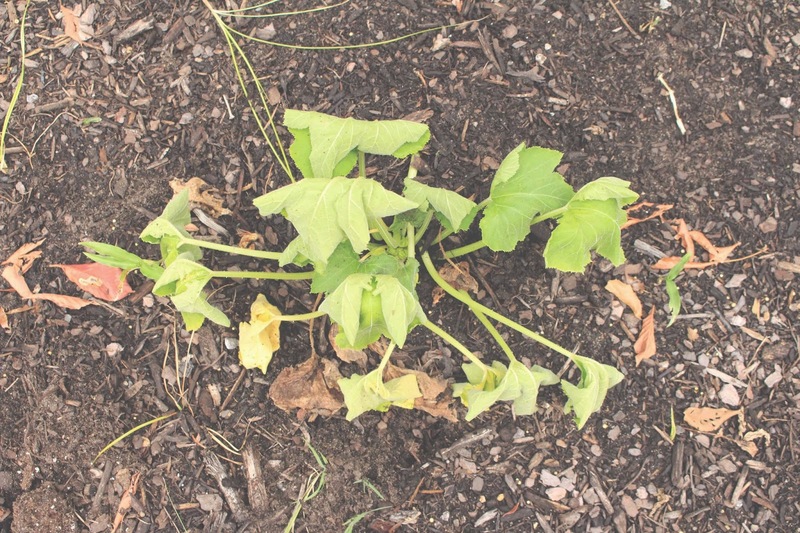 We planted some squash from seedlings and some that we bought from the store. The ones from the store have already died but the plants from seedlings aren't doing so well either. Bleh. We've researched many different things and tried a few different remedies. They get very wilted in the middle of the day and then look fine at night. We are now waiting to see if our latest "fix" is actually going to work. The plants have been sort of re-planted so that less of the plant is above the ground. We will see what happens in the next few days. This is a Tranquility Rose I bought from Heirloom Roses. We planted them last year towards the end of the season, so we didn't really get much from them last year. They are doing really well and are continuing to grow bigger. They are small compared to the typical rose you see in the supermarket, but they are beautiful. This is an Angel Face rose I impulsively bought at Home Depot last year and it just might be my favorite rose that we have. 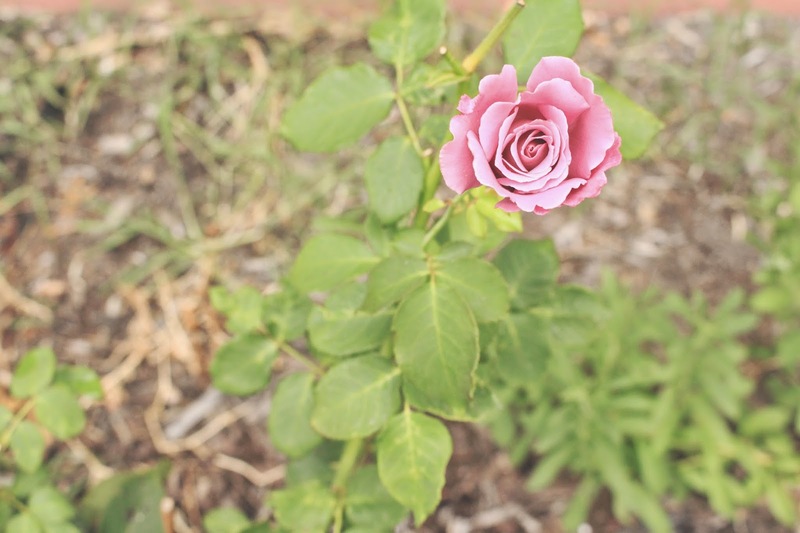 It produces a large pinkish purplish rose and has a wonderful fragrance. This rose has stayed healthy unlike some of our other roses. 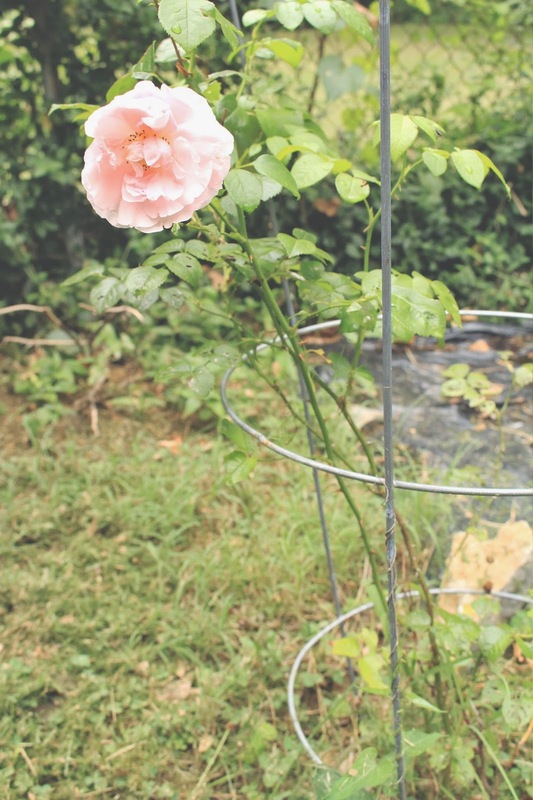 We've had a tough year with roses much to my dismay, but this rose has been going strong. It also is continually producing roses throughout the entire season, so that is very rewarding. Overall our garden is doing so-so. Not pictured are the 16 tomato plants we have. They aren't much to look at and are not really producing that much at the moment. We cut a few corners with our soil this year and I think we are paying for it big time. We didn't buy the highest quality soil because we were mixing it with compost and we added fertilizer. Maybe we didn't add enough? We also didn't test our soil, which everyone says is super important. Buttttt we didn't do that last year and didn't seem to have a problem. 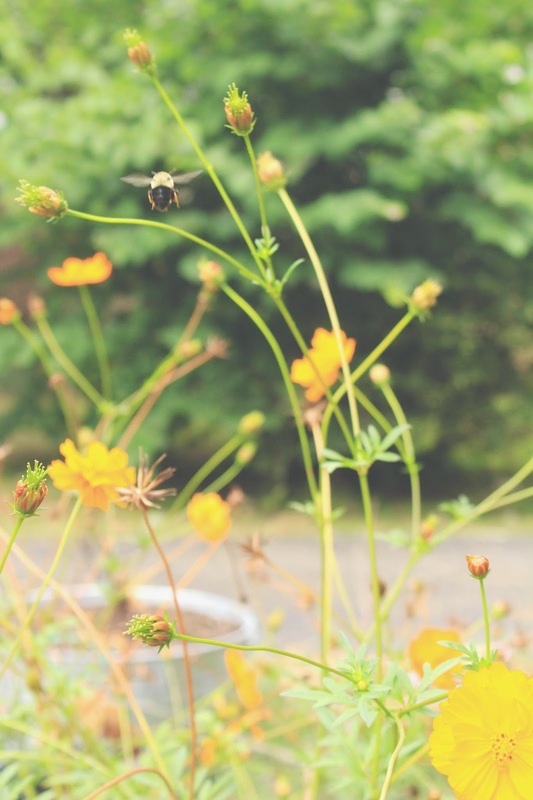 With gardening, there are so many different factors to consider that could be causing problems. Oh wow, you got bees, that is awesome! Looking forward to seeing some more blog posts about them. Bees are the best!